Just click on a symbol to copy it to the clipboard. Symbols & Fancy Text is a symbol & picture text collection that helps you get Facebook symbols, fancy letters, special characters, special symbols... right in a web browser, such as math symbol, PI symbol, infinity symbol, copyright symbol, TM symbol, heart symbol,... It also provides an extensive list of emoticons, emojis, symbols & smiley faces that can be used on Facebook, Twitter, Instagram. 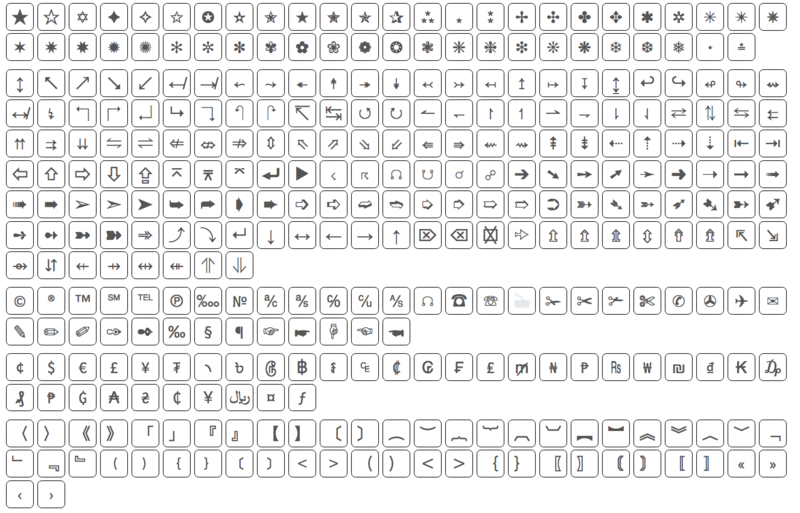 Copy and paste symbols with this cool symbol picker tool, which help easily get Facebook symbols, Instagram symbols, Twitter symbols, emoji, emoticon text & text art. Just click on a symbol, an emoji or a text art to copy it to the clipboard. You can also check out the cool fonts ios app and cool fonts android app. PS: Additionally, we provide a tool to help you insert emojis to your text.